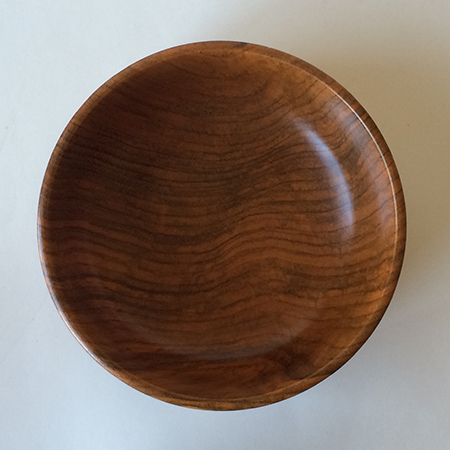 The items below are works of art. 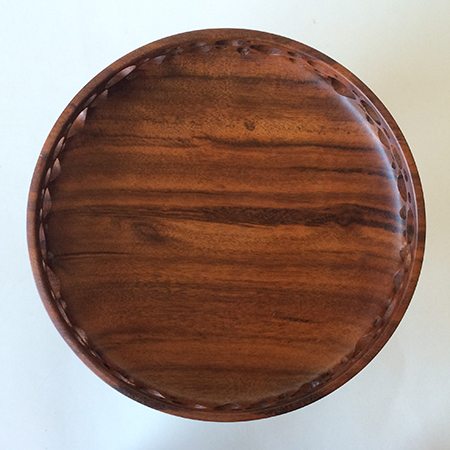 Treat finish as you would a grand piano. 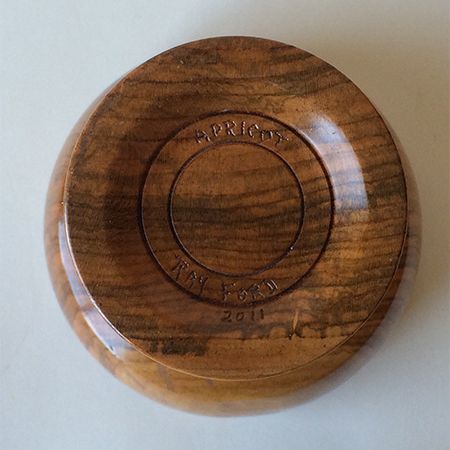 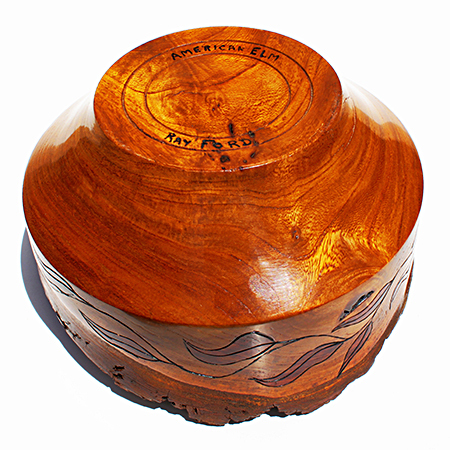 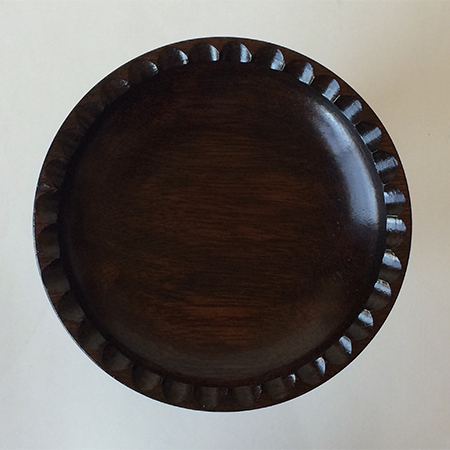 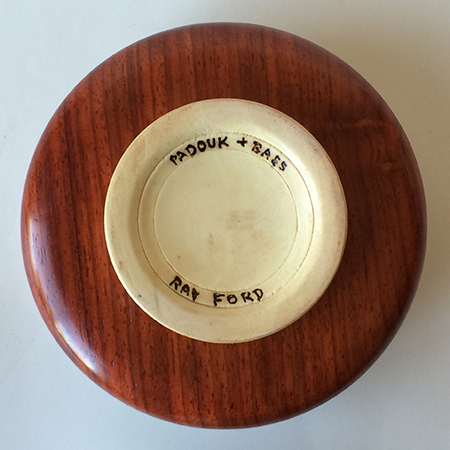 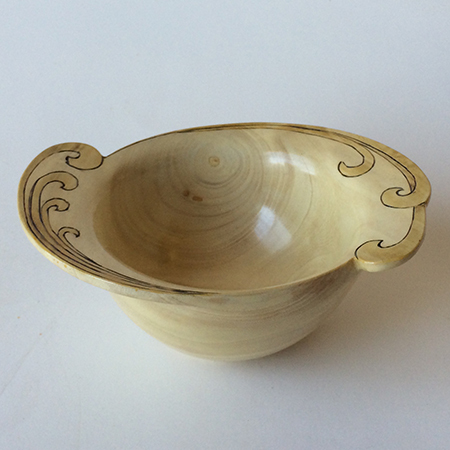 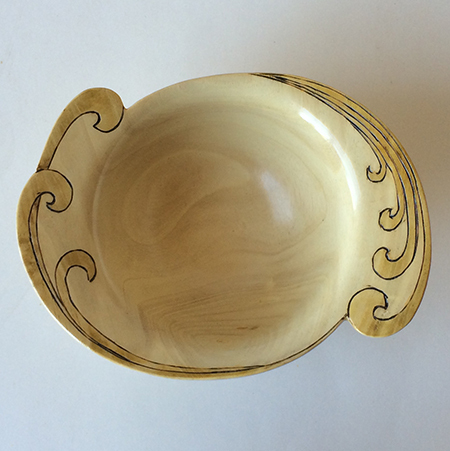 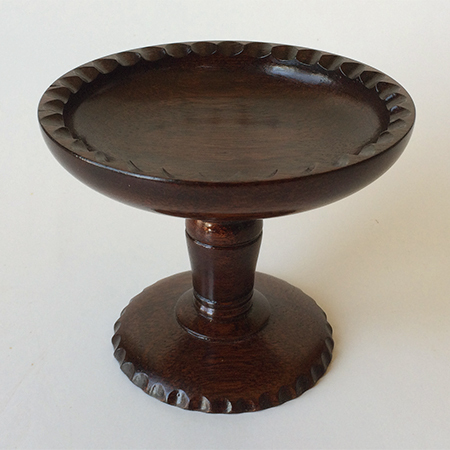 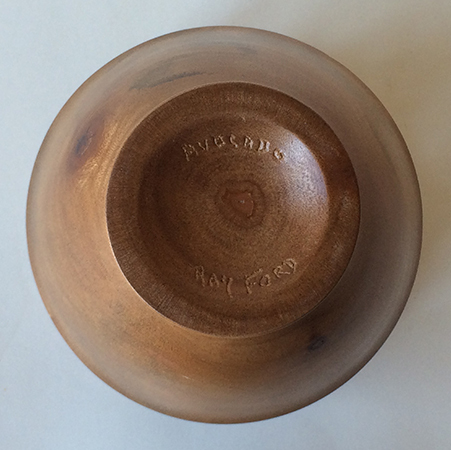 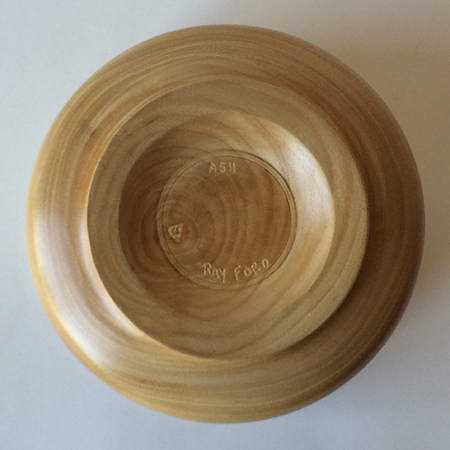 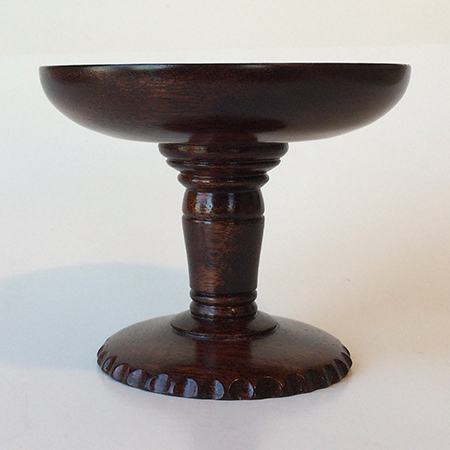 Padouk and Bass wood bowl decorated with a leaf design on the upper rim. 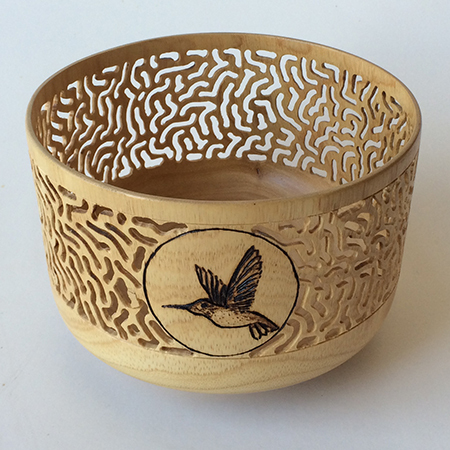 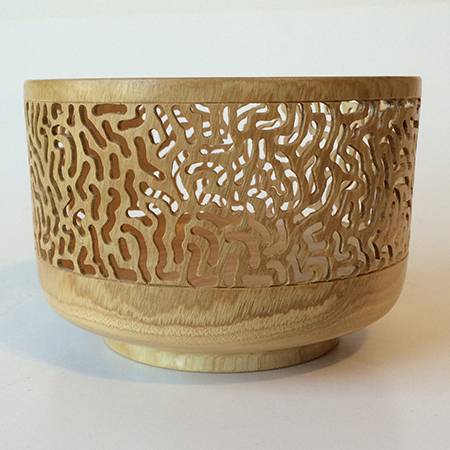 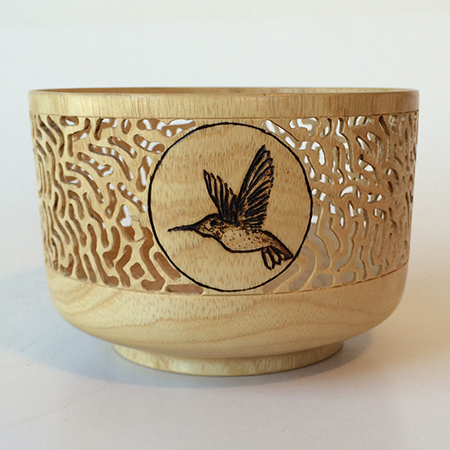 Delicate Ash wood filigree bowl with hummingbird design. 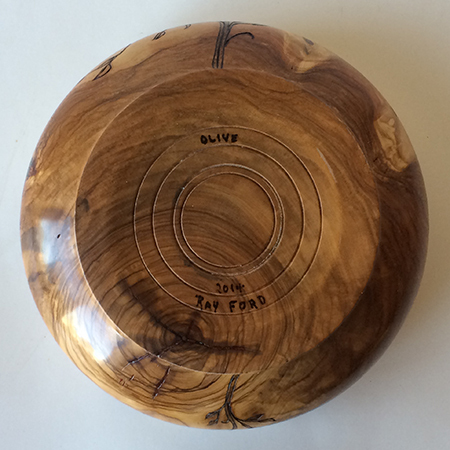 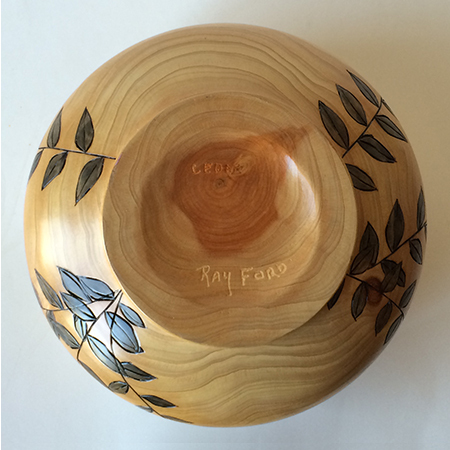 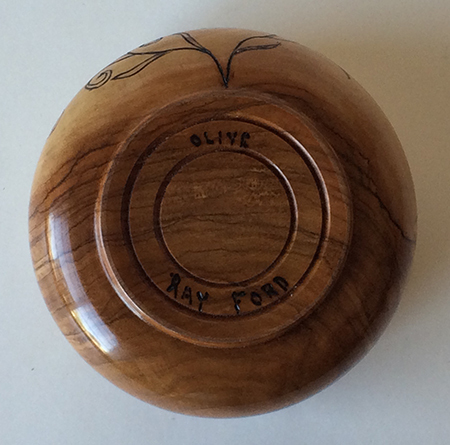 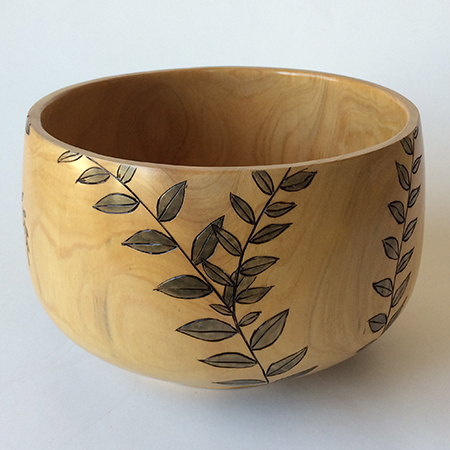 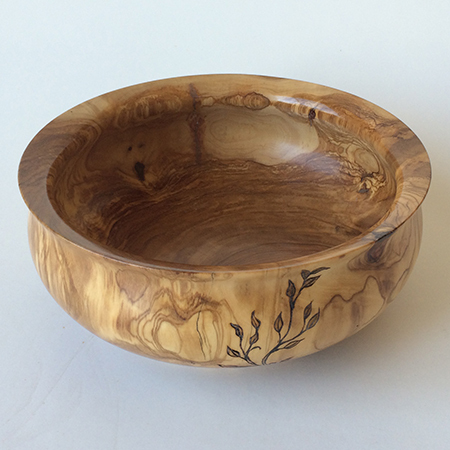 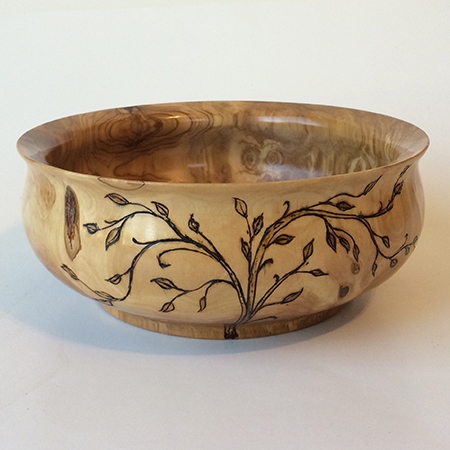 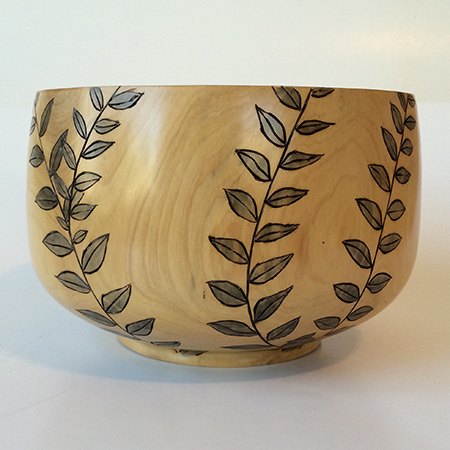 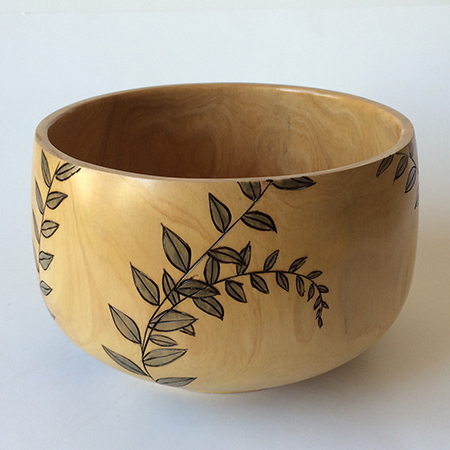 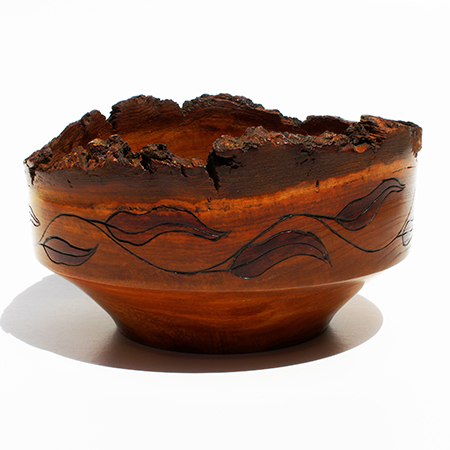 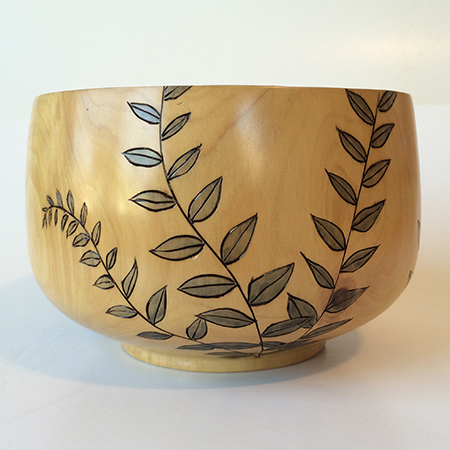 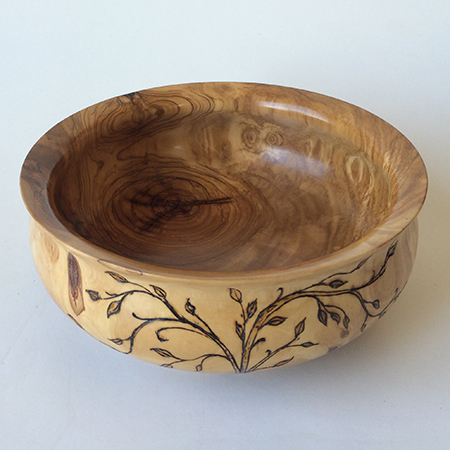 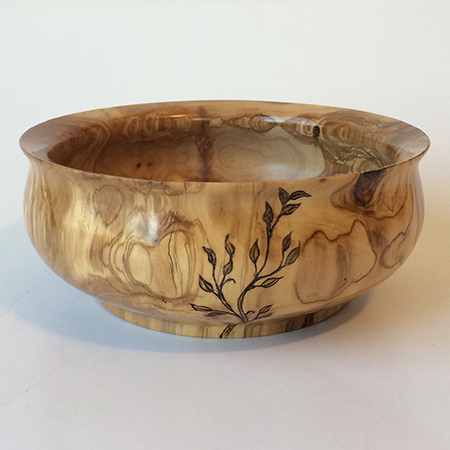 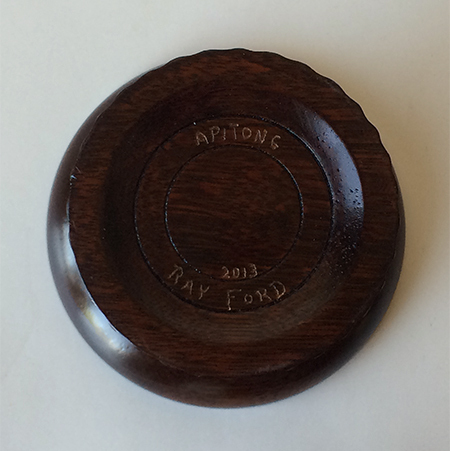 Olive wood bowl decorated with leaves. 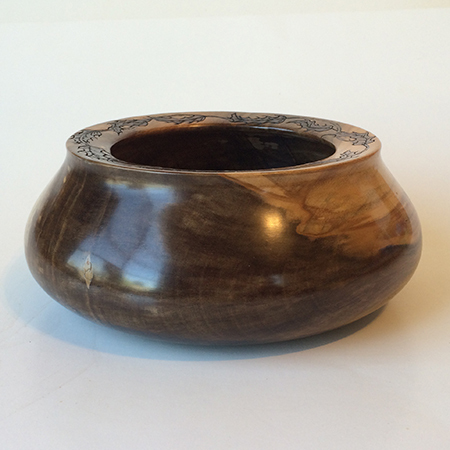 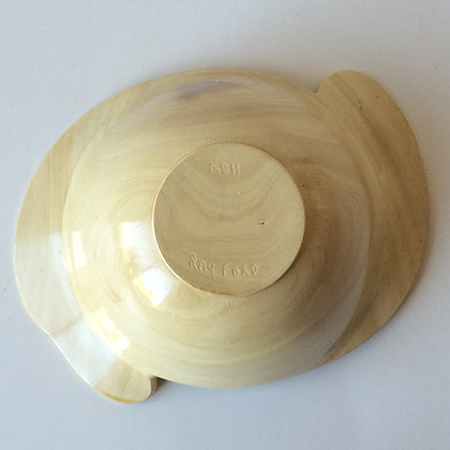 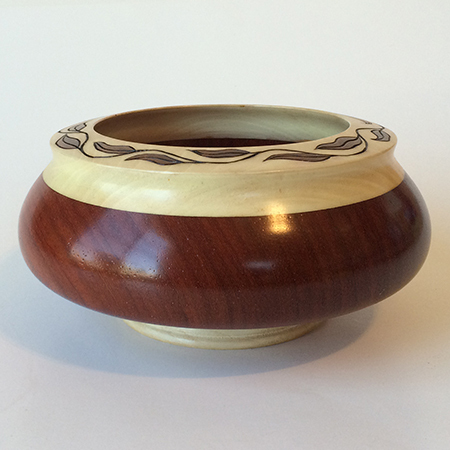 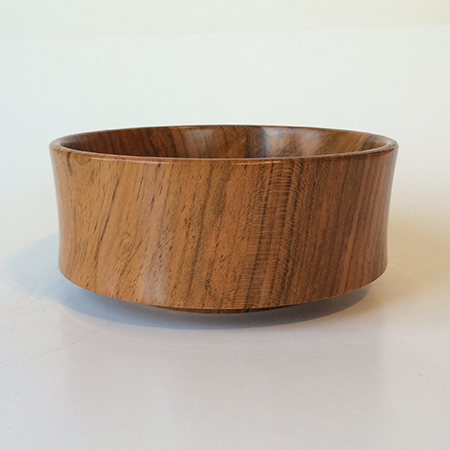 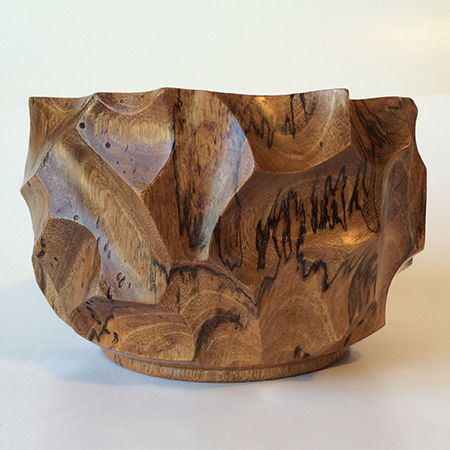 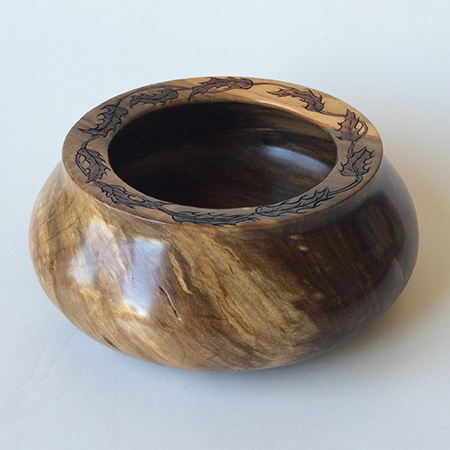 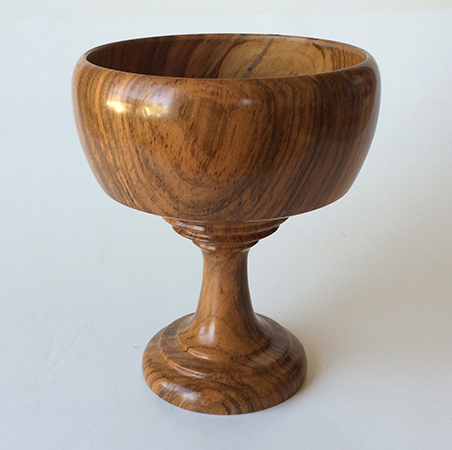 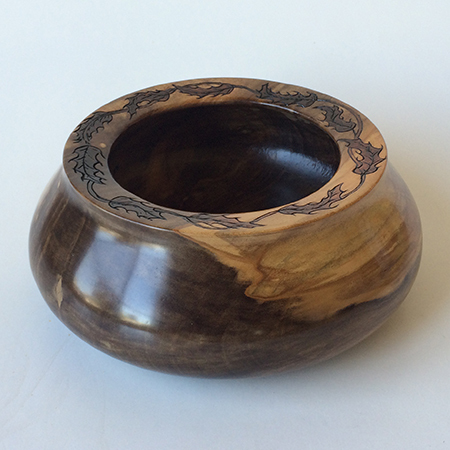 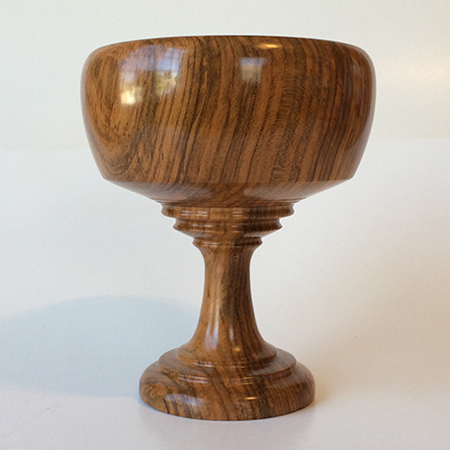 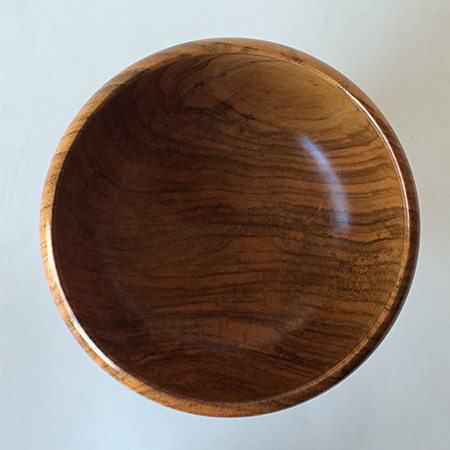 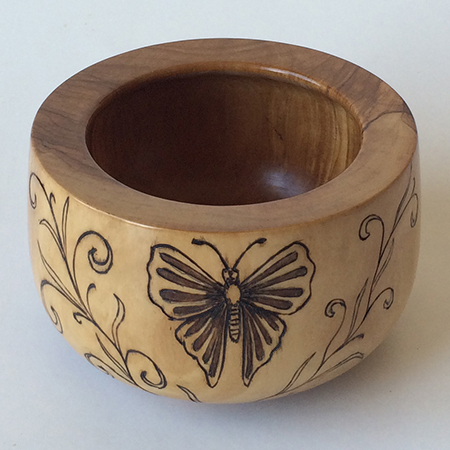 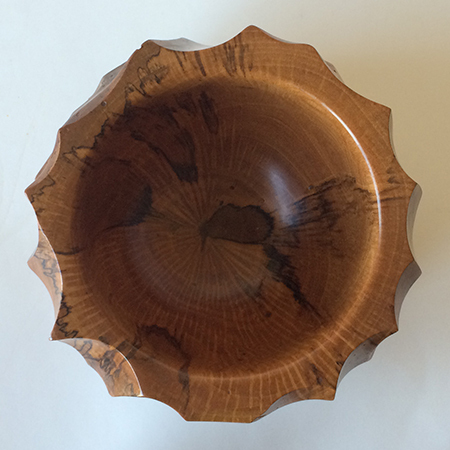 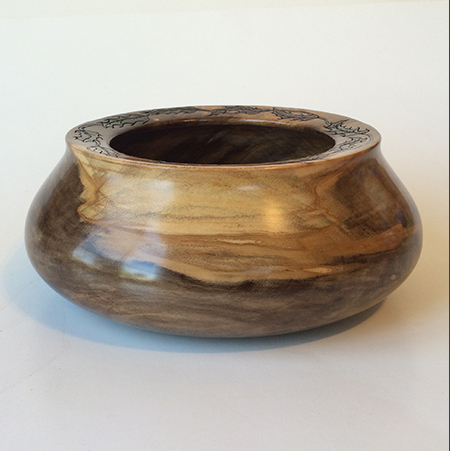 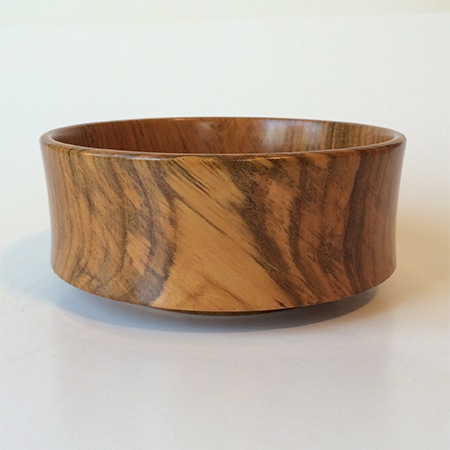 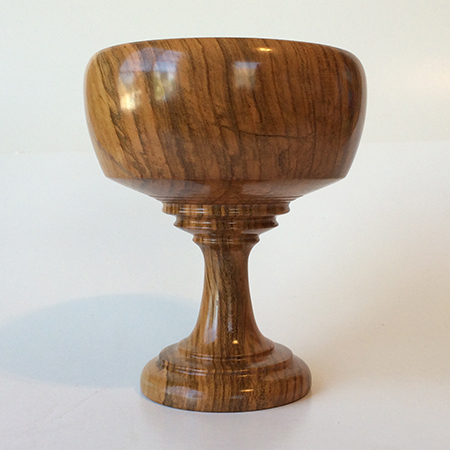 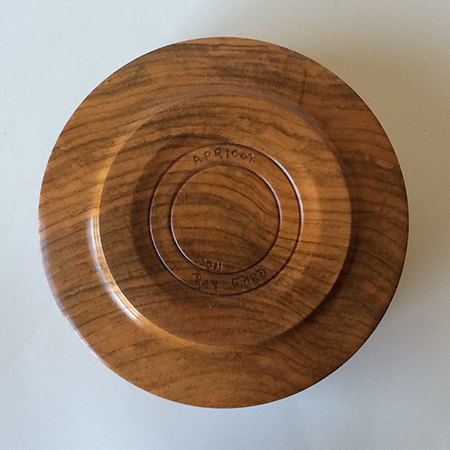 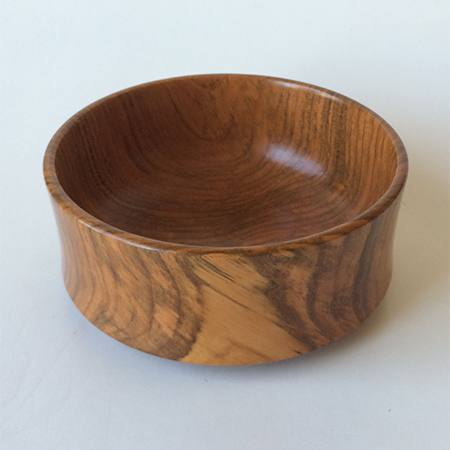 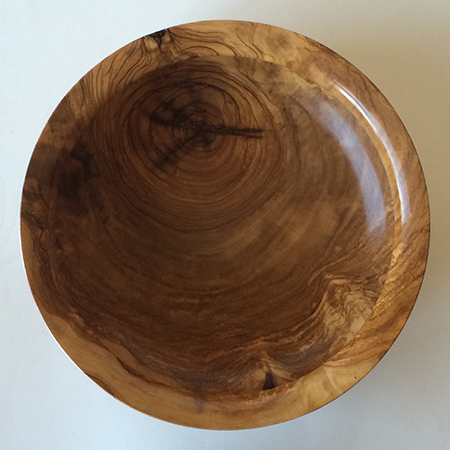 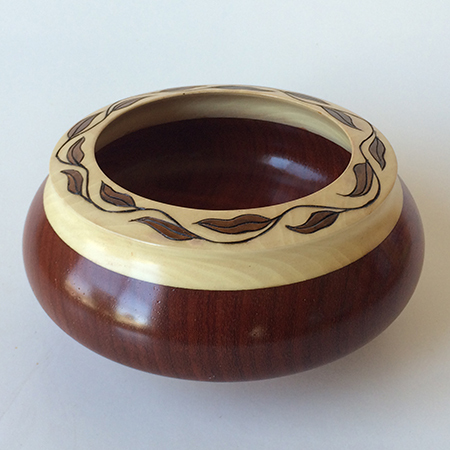 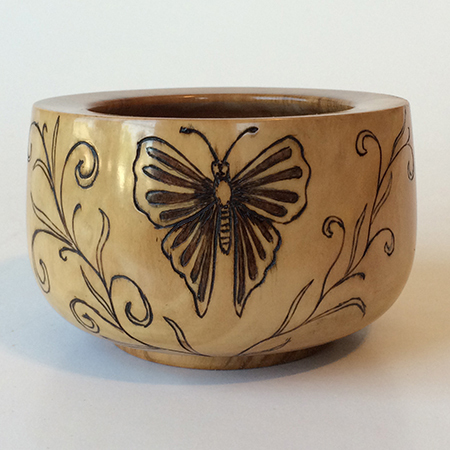 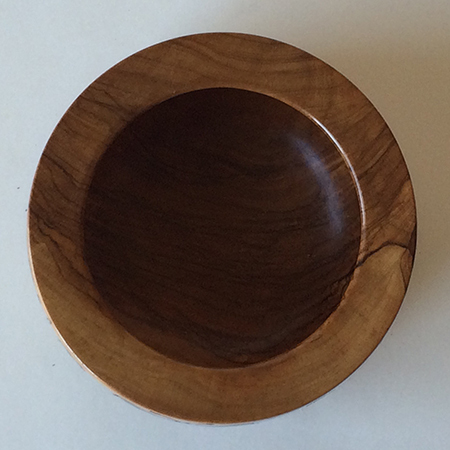 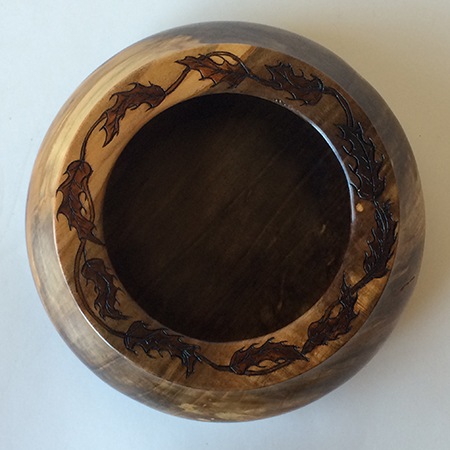 Olive wood bowl with butterfly design. 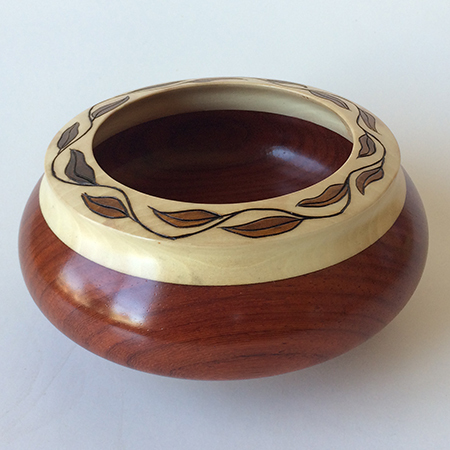 Ash wood bowl with scrolled handles. 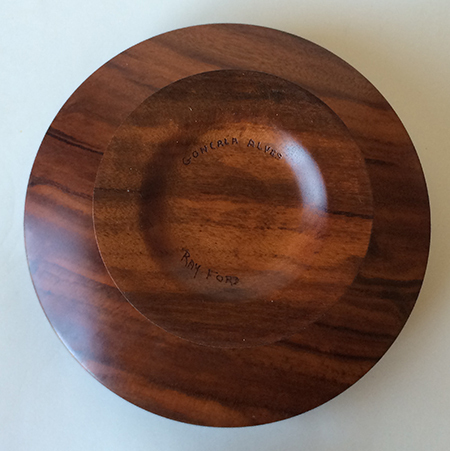 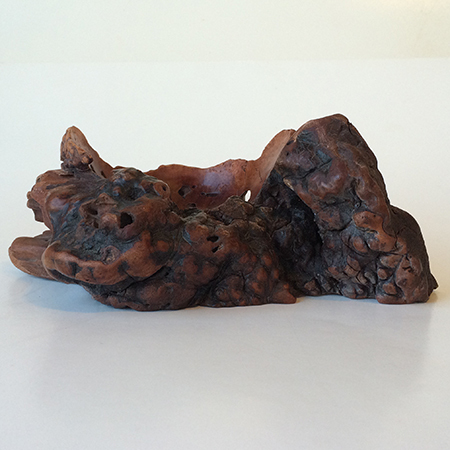 Width 6 1/4″ wide by 4 1/2″ deep and 2 1/2″ high. 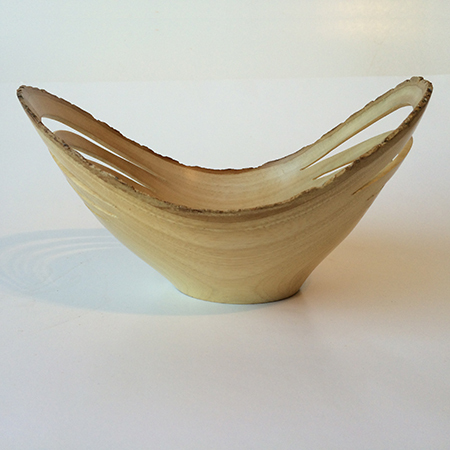 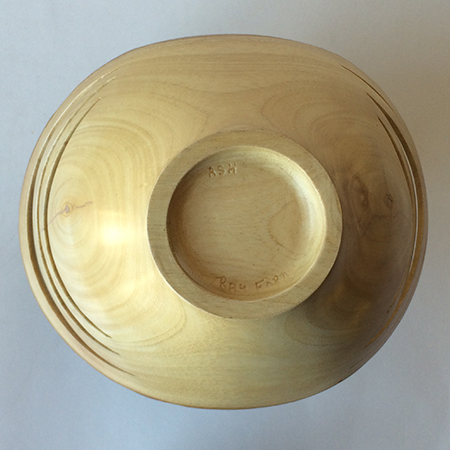 Ash winged bowl with natural edge. 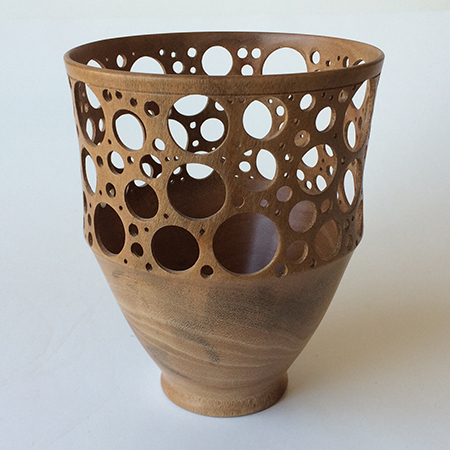 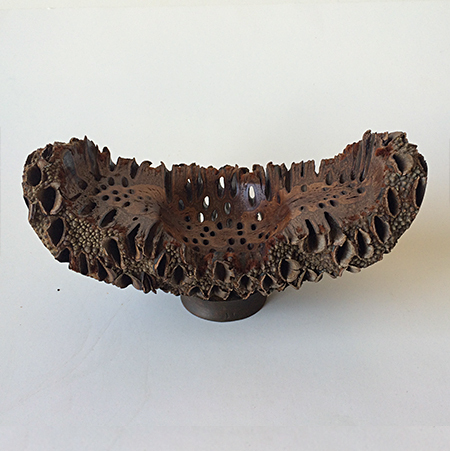 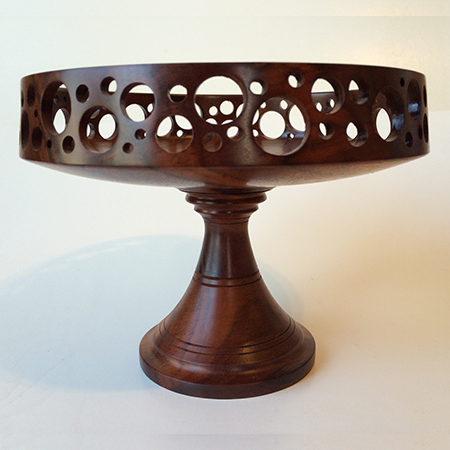 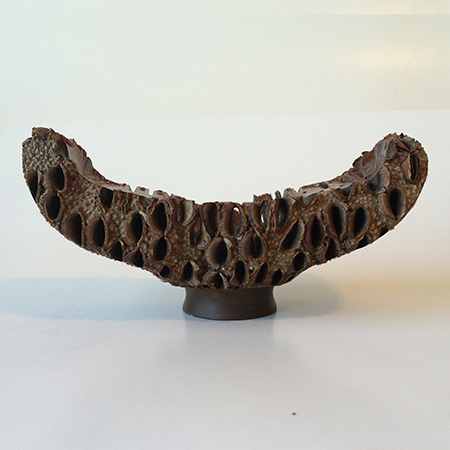 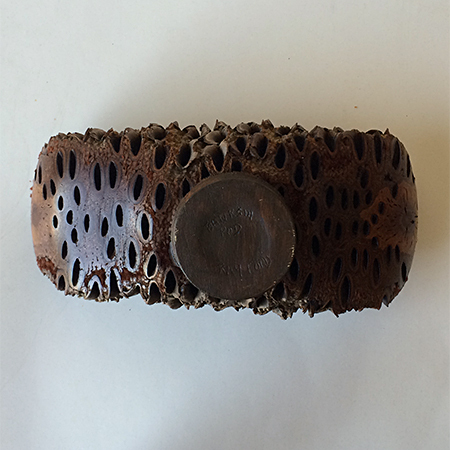 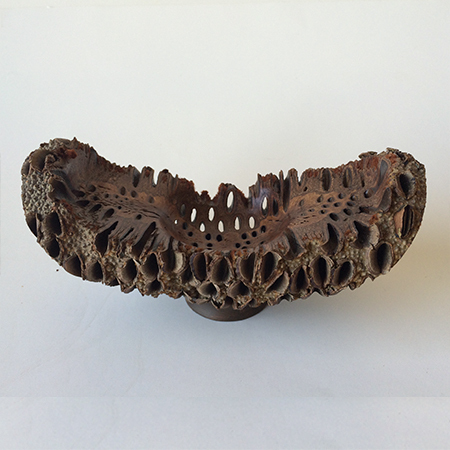 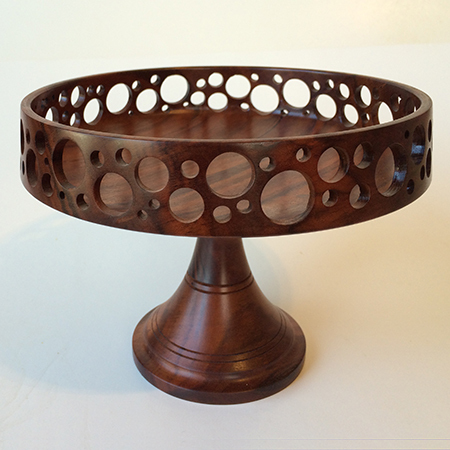 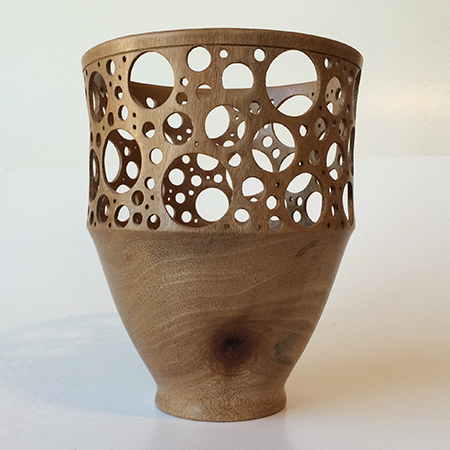 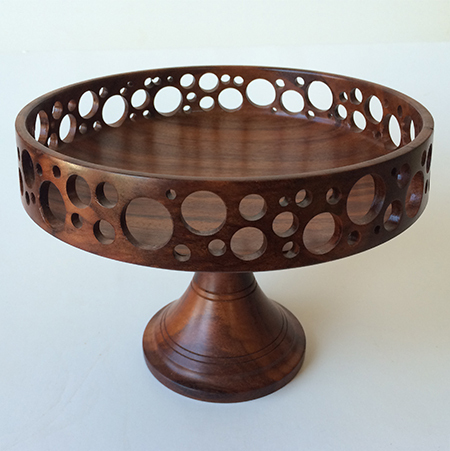 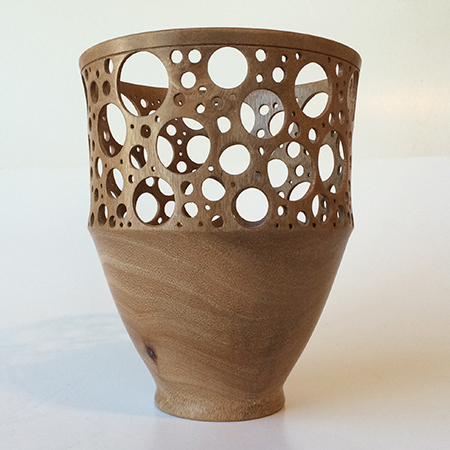 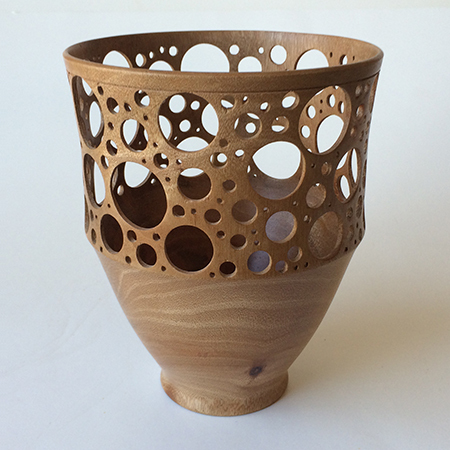 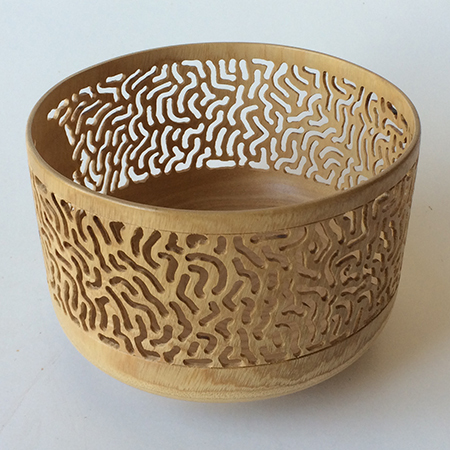 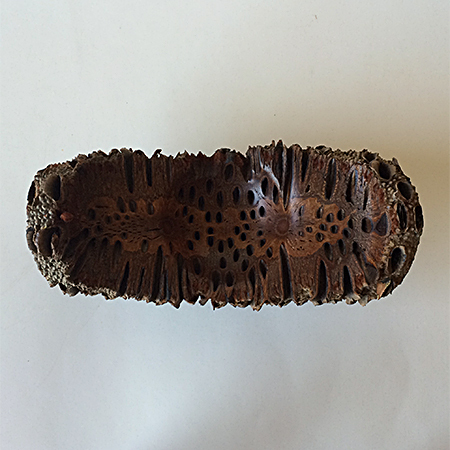 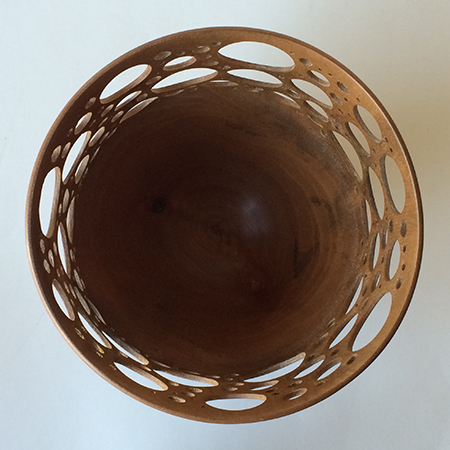 Avocado wood bowl with a delicate filigree design. 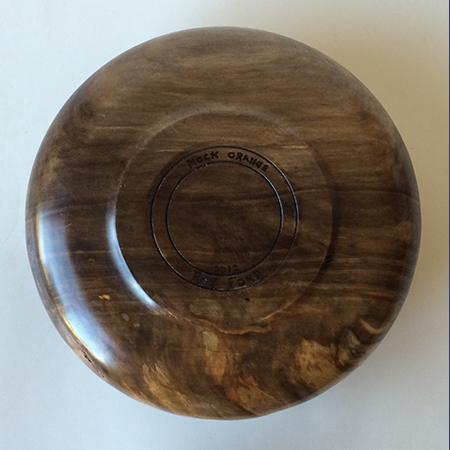 5 1/4″ across by 6 1/4″ high. 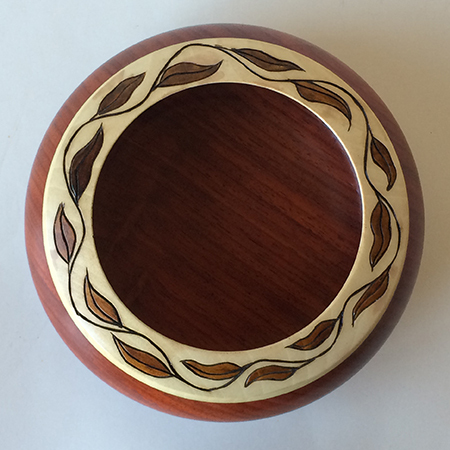 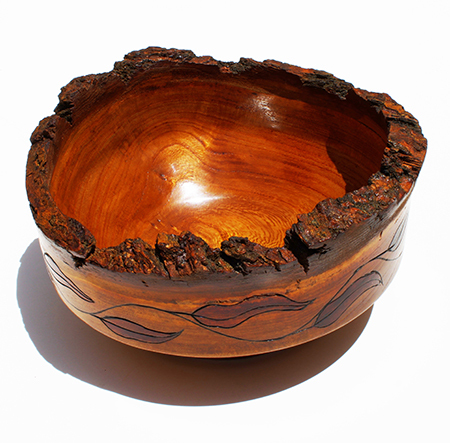 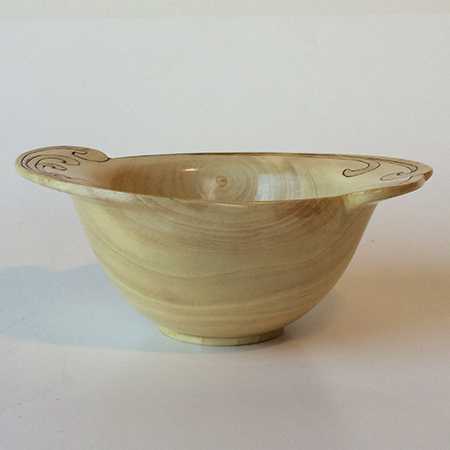 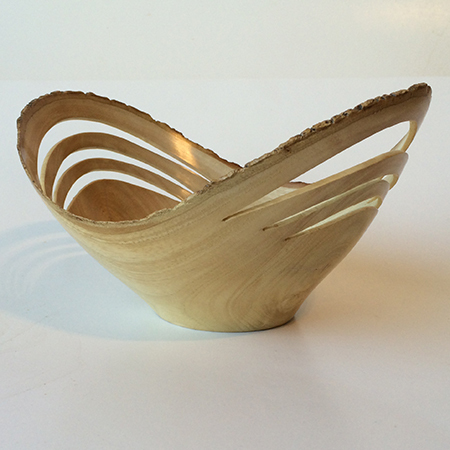 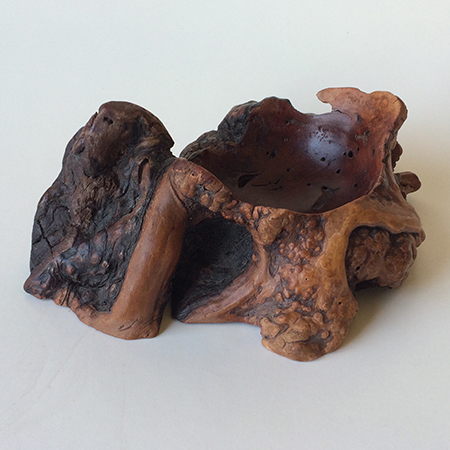 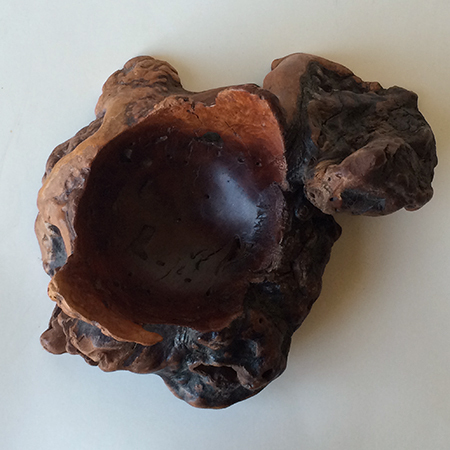 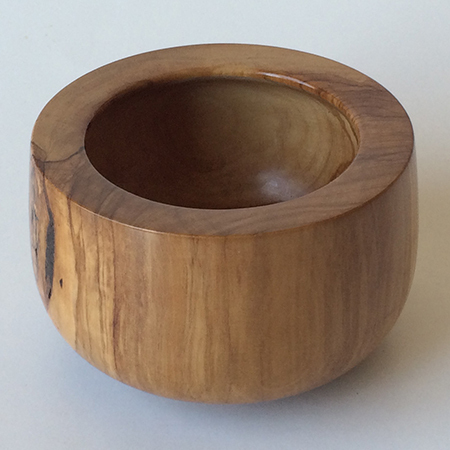 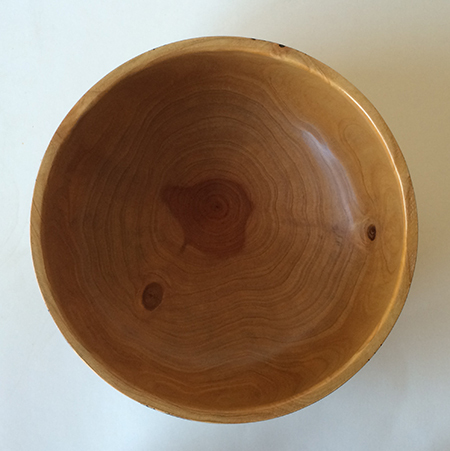 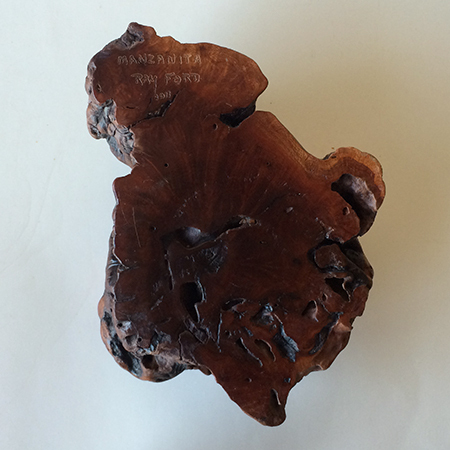 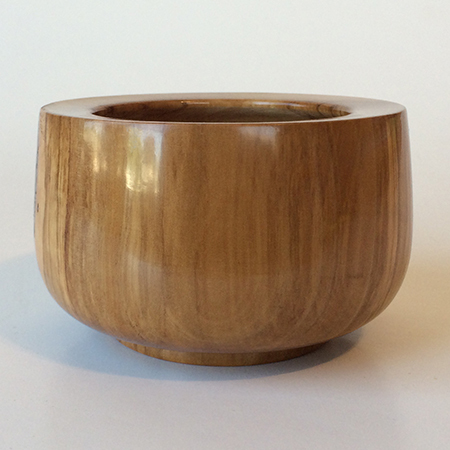 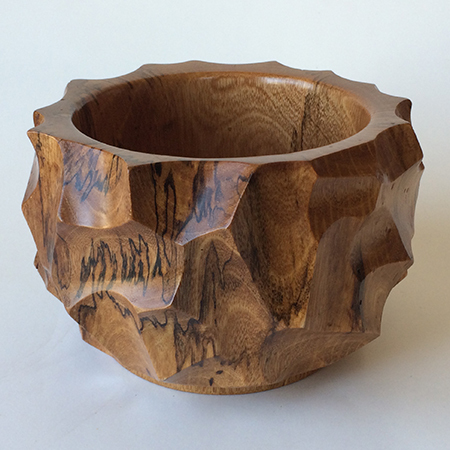 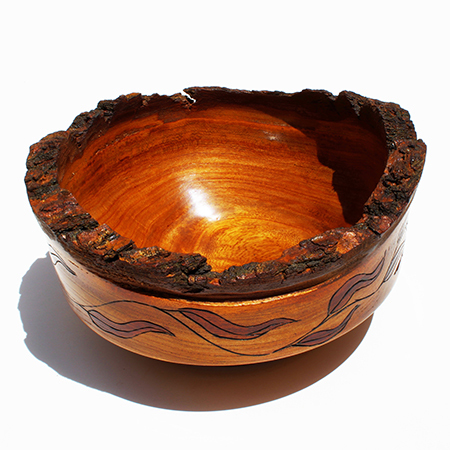 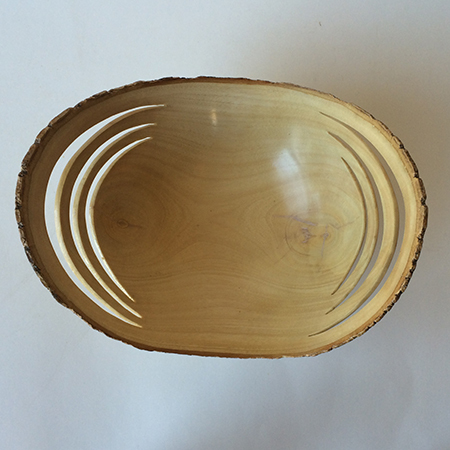 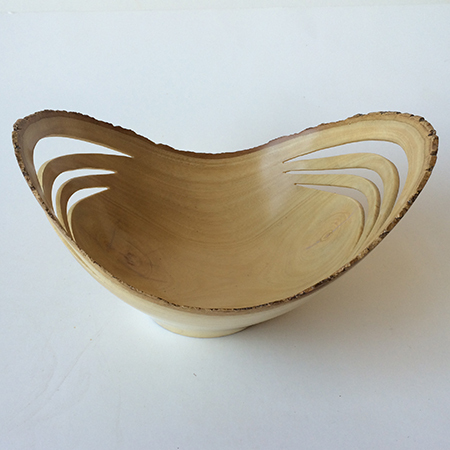 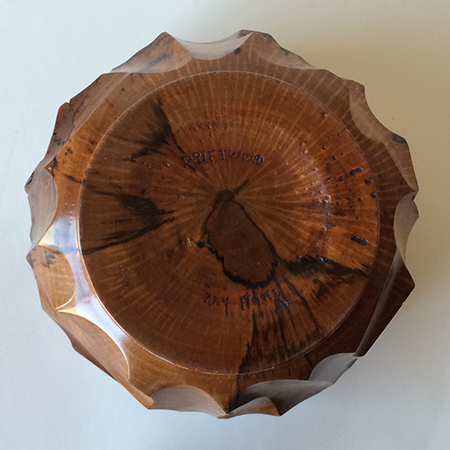 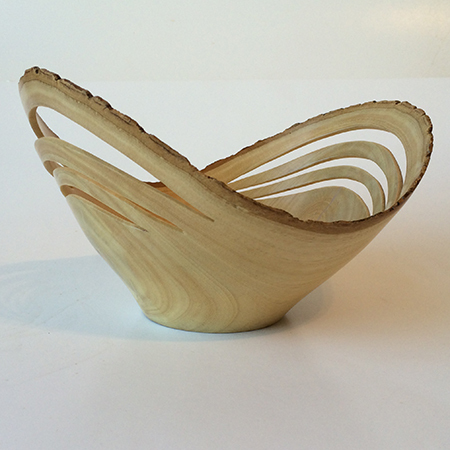 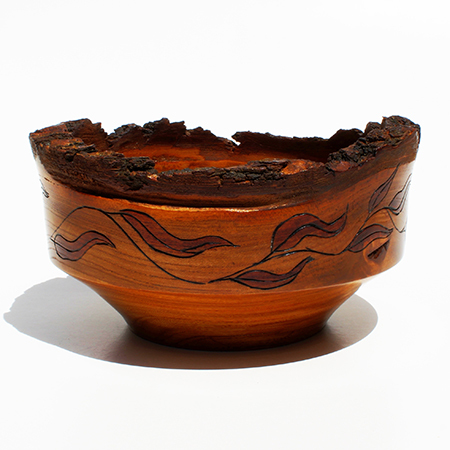 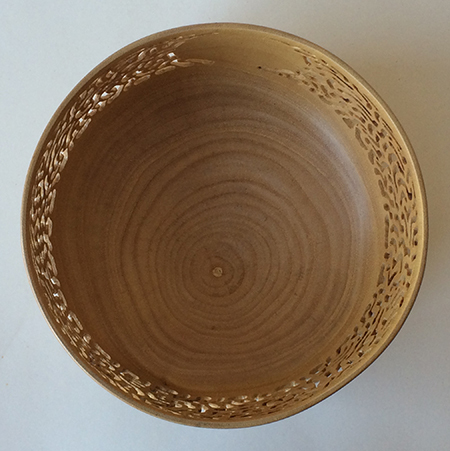 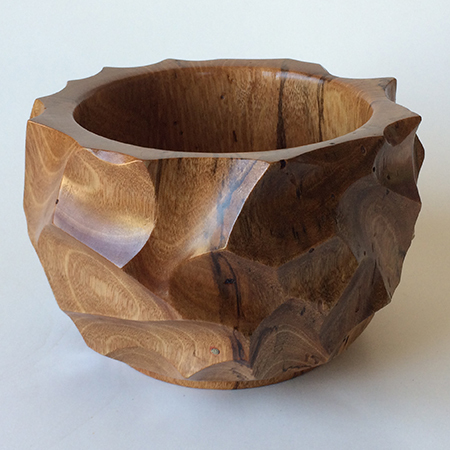 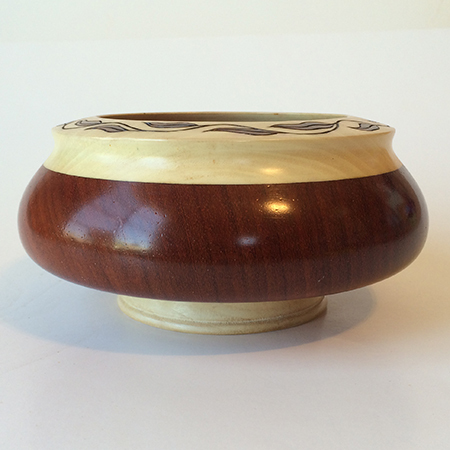 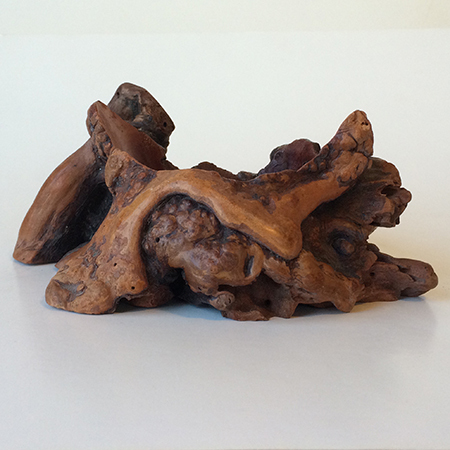 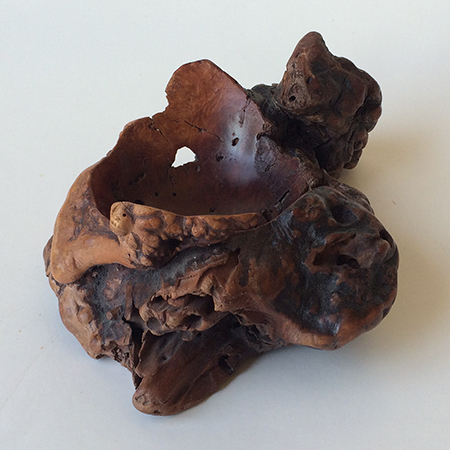 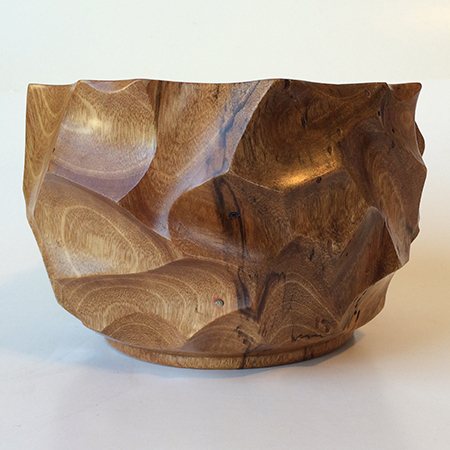 Cedar wood bowl with leaf design.